until I met Stuart at Bluefish Web Solutions. From initial contact with Stuart it was clear to see that they were offering a local and professional service. Stuarts prompt response to my enquiry followed by our first meeting at my convenience filled me with complete confidence that Bluefish Web Solutions would be the prefect company to create my new website. ongoing theme in our showroom. I decided to have the website compatible with tablets and mobile devices which for the additional cost is worth every penny. I found the experience stress free and can highly recommend this company for others who are seeking a reliable and professional service from start to finish. 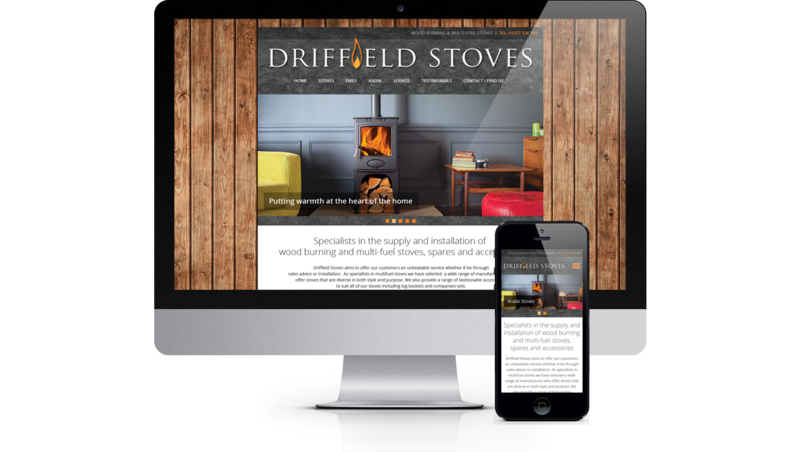 Thanks again to Stuart from everyone at Driffield Stoves for an outstanding service.